I am an absolute beginner, so I just hopelessly see their day by day worsening condition, and I am a bit worried my original two older ones may also get infected. Location is Budapest, Hungary, it's autumn first month September now, temperature is approx 25 C / 77F, now, the pots are in very well lit outdoor place. 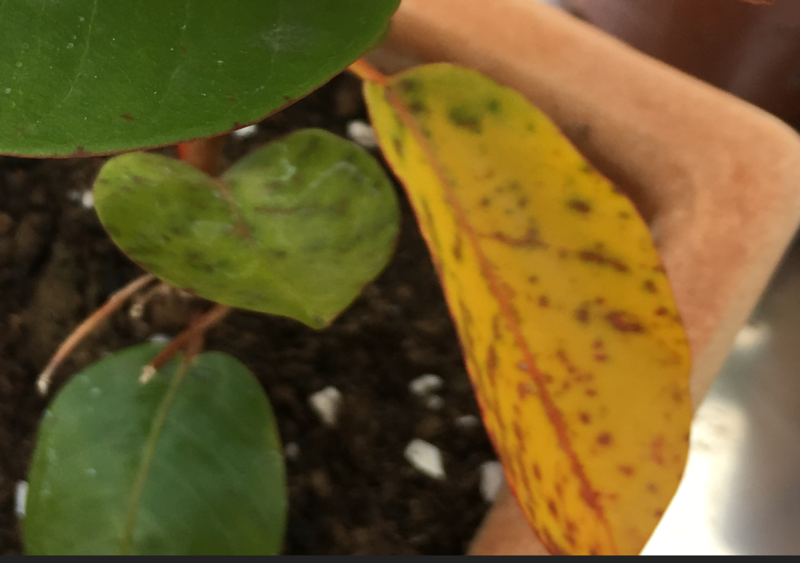 It seemed to me that dipladenia (both the older 2 and also the 6 rooted very flexible for water supply, never dropped a leave since spring, they got relatively less water. I prefer use only absolutely harmless chemicals and methods, as I have no appropriate protective gear. Since we are in full summer in the northern hemisphere this is probably just natural ageing of the leaves. 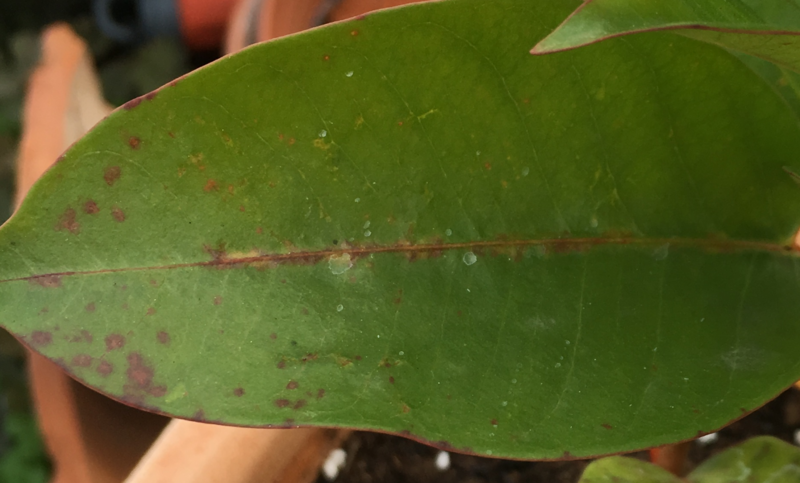 I have Mandevilla/Dipladenia plants as well, and a few leaves are turning yellow and showing spots as yours do. So it is probably nothing more than the leaves having finished their work. Give the plant full sun, as much as possible, and while keeping watered make sure the roots have free drainage. 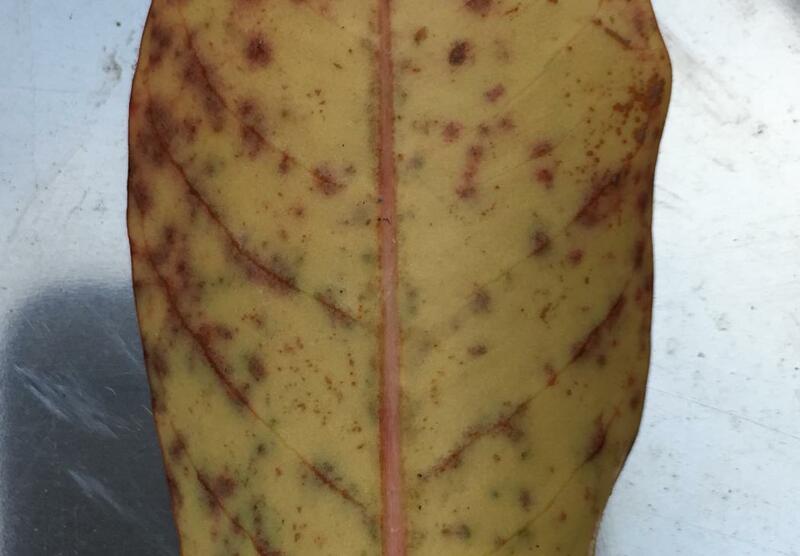 The test, as with other discolouration of the leaves, is if the leaf falls off naturally. If it dries up and remains stuck to the plant then that is a problem; the natural separation of the leaf from the plant has not had time to happen and you need to look further. If however it falls naturally (or when you gently tug on it it lets go easily) then the leaf has completed its work and would, in a natural environment, decompose and return its chemical components to the underlying soil. What is this pest attacking and killing a douglas fir? What illness/pest has this rosemary and what to do with it? What pest is this and how do I treat it?